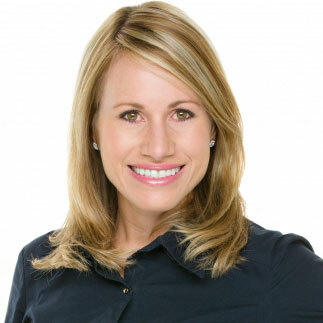 Stephanie is a licensed Realtor for Pacific Sotheby’s International Realty in La Jolla. She has over a decade of experience in real estate including investment, development and residential sales. Working for the largest foreclosure agent in San Diego County for 5 years, Stephanie quickly became the top producing agent on her team leading the way in closings for the most foreclosures and short sales sold. Stephanie continued her high performing career in real estate transactions by joining Pacific Sotheby’s International Realty on “The O’Byrne team” in 2013, which is consistently ranked as the #1 top producing team at Pacific Sotheby’s for growth, volume and experience in San Diego. Stephanie has a Bachelor of Science degree in Business Management from the University of Central Florida . Throughout her successful real estate career, she has earned many accolades by consistently ranking within the top 5% of Realtors in San Diego County. Born and raised in West Palm Beach, Florida, Stephanie moved to San Diego in 2001 and began her real estate career in 2006. She has been a Realtor in San Diego for over 10 years. Stephanie works well under pressure, maintaining perspective, and her confidence in the transaction help assure the navigation through any real estate transaction. Her commitment to helping home owners achieve their goals and supporting them throughout the entire process has helped Stephanie excel in the real estate business. She has a client-for-life business philosophy, and takes great pride consistently exceeding the expectations of her clients. In addition to her key connections, market knowledge and expertise, she has an extensive array of industry professionals (general contractors, plumbers, electricians, roofers) whom she confidently refers to her clients. Stephanie lives in the Bay Park area of San Diego and enjoys yoga, hiking, fishing, tennis, scuba-diving and most things that involve being outdoors.